*Authorized Bona Certified Craftsman* Friends & Family Flooring is your full-service, shop-at-home, eco-friendly, carpet and flooring dealer. Let us be your turn-key solution to fresh, new floors. We offer both installation of a wide variety of new flooring options, and refinishing of existing hardwood floors. Our knowledgeable and experienced staff works with not only wood and carpet but also with laminate, linoleum, vinyl, tile and green flooring options. Let us make your home beautiful again with hardwood refinishing or update a room with new carpet or green flooring. Choose from a unique range of products and colors. We will work with you on price and have it installed when you want. We come to you to evaluate the aesthetics of the area and ensure you get exactly what you want. Convenience, reliability, and trustworthiness for your flooring needs is what we provide. DC Metro's One Stop Shop for Everything Rugs! Floors on 14th LLC stand behind our work and offer a labor guarantee on all our work. We ensure our customers our 100% satisfied with our service and work hard to earn repeat referrals from completing the highest quality craftsmanship on each job. We provide an on-time, courteous and respectful floor service that ensures your installation or refinishing project runs smoothly from start to finish. We offer Non-Toxic and Low VOC’s (Volatile Organic Compounds) finishes that offer quicker dry times,high durability and are better for the environment. We also offer traditional and water base finishes that are more budget friendly for our customers. We specialize in flooring/ carpet, Hardwood & laminate flooring, cork & bamboo flooring, Natural fibers & sisal flooring, ceramic & marble tile, Vinyl sheet & vinyl plank flooring, Area rugs, custom area rugs, counter tops & back splash....over 43 years experience in this business. The world is full of thoughtless, careless design—you can't control any of that. What you can control is what goes on inside your own home. Great design is not a bunch of isolated, individual, beautiful things. It's about how all of those carefully chosen elements contribute to one beautiful home. We sell that missing piece. 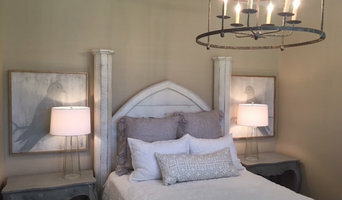 We work with homeowners and decorators to design and furnish homes from East to West. Having served 40+ countries on all 6 continents from Palaces in Malaysia to Safari tents in Tanzania, ALRUG is the leading global resource for all kinds of handmade rugs, kilims and durries. We provide custom order facility to decorators to meet specific requirements with non-traditional / unusual color combinations and designs. Our aim is to enable and inspire customers to enjoy real pleasure of Handmade Rugs, Kilims and Durries by providing distinctive, superior rugs & service to every customer, every day. Carpet Impressions is a to the trade only flooring showroom servicing Interior designers, architects and builders. We offer the largest selection of decorative flooring in the Metropolitan area. Along with the benefits of this range of choice, our company employs a team of the most talented (and certified) custom installers in the area. Whether its custom product or the installation itself, which requires our in-depth knowledge and experience, our clients can always be sure that they are working with the best in class. For the past 20 years we have sold and installed thousands of projects. Installing everything from the smallest closet to the largest private residences. Our reputation in the industry remains unparalleled. With years of design experience and product knowledge, Carpet Impressions delivers unsurpassed personal attention, variety of product and quality workmanship to all levels of clientele – across the industry spectrum. We provide a turnkey operation where all work is performed in house, from the measurement to intricate fabrication and installation. C.G Coe and Son has set itself apart over the past 30 years in a few key areas — the quality of our carpets and rugs, and the strength of our customer service. 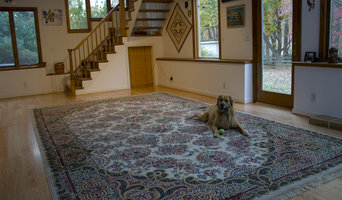 We specialize in first quality decorative rugs and carpets. We have an extremely knowledgeable and experienced sales staff, which allows us the ability to fit a specific customer with a carpet or rug that is appropriate for their particular situation. It is not an accident that the majority of our business over the past 30 years has been repeats and referrals. When you conduct business with care, knowledge, and honesty– people will make their way back into your store and encourage their friends and relatives to do the same. Showroom open to the public Monday - Friday 10AM - 5PM, Thursday 10AM - 8PM Saturday 10AM - 2PM. Parking in the rear. Modernrugs.com is a more than just a premier designer rug retailer, it is also a resource for contract quality custom rug manufacturing. For over two decades, ModernRugs.com has been serving hospitality and commercial sectors by providing custom and designer rugs for acclaimed architects, designers, developers and property owners around the world. We have experience in the hospitality and commercial sectors and are experts at quoting and managing large, complex custom rug orders for architects, designers, developers and property owners, like yourself. We provide the rugs you need, in any size, shape, construction, design and quantity for all your residential, commercial and hospitality projects. Even better, with over 50,000 square feet of warehouses, we stock the most comprehensive collection of modern rugs from top-notch designer brands such as: Christopher Fareed, NOW Carpets, Second Studio, Arte Espina, Gandia Blasco, Nani Marquina, Angelo, Ligne Pure, Loloi, Jaipur, Surya .....and many more! *Authorized Bona Certified Craftsman* Best of Houzz 2014, 2015 & 2016 Royal Oaks Flooring is a local flooring company in DC Metro area. We provide excellent and high quality craftsmanship in the flooring Industry, specializing in wide plank, reclaimed and antique-style flooring. We work closely with a local mill in Maryland to recycle old buildings and provide the best prices on wide plank and reclaimed flooring. We can take care of your project from the beginning to the end, use dust free sanding to have a minimum dust in your house and keep your beautiful home clean through the project. We can finish your floors with any custom stain or use beautiful floor oils to give floors beautiful natural look and also the best and Green Certified Water Based finishes. AG Construction is a MHIC licensed small business dedicated to providing customers with the highest quality hardwood flooring services, while keeping pricing very fair and affordable. With more than 10 years experience restoring, refinishing, and installing wood floors owner/operator Aaron Goodman personally oversees all projects. When you work with AG Construction you know you are getting the work of skilled professionals who are committed to giving customers the personal care and attention they deserve. We offer free estimates and promise an honest assessment of your project. We don’t believe in taking on jobs for which we can not provide the best-possible service. AG Construction is committed to prompt and reliable scheduling. At AG Construction we specialize in custom installation and finishing of new wood floors as well as refinishing and restoration of existing wood floors. We also have the capability of helping in most handyman, home improvement, painting, drywall repairs, small electric and plumbing projects. Experts in Floors, Window Treatments, & Water Restoration Since 1966! Thadson Flooring is a locally-owned business in Chantilly, Virginia. We offer a huge selection of almost every type of flooring. Our website is designed to enhance your shopping experience with us. You’ll find a buying guide to all types of floor covering including hardwood, ceramic tile, carpet, laminate, duraceramic and many other options in our TIPS section. You can preview thousands of samples online from the manufacturers shown on our PRODUCTS page. We offer the brands you’ve come to know and trust because they offer style, quality, value, and the best warranties in the business. Brands like Bruce, Mohawk, Shaw, Dixie, Somerset, Mullican, Mirage, Armstrong and Congoleum just to name a few. Fairfax Floors, Inc. has been serving the Washington Metropolitan Community with the best quality products and installation services available. We strive to provide our clients with the best customer service possible. With our team of experienced home consultants and our excellent relationships with major manufacturers, we can provide expert advice and deliver superb installation at affordable pricing. Visit Our Showroom: 2807 Merrilee Dr. Fairfax, VA. 22031 Shaw Floors, MOHAWK, Armstrong, beaulieu America, Congoleum, Dixie Home, Mannington, Mullican Flooring, US Floors, Bruce, Mirage, Stanton & more! With over 40 years of experience, Classic Floor Designs offers the best selection of luxurious carpeting, rugs, flooring and more, all value priced to fit your budget. Top quality Installation by our team of experts. Once you speak with one of our consultants, you’ll find that Classic provides exceptional value as well. After all, what good is quality if it’s out of reach? Mill Direct Flooring was established in 1975 by a Vietnam veteran. Upon my fathers return home, he opened the first location in Alexandria where it still sits today. We have always been family operated, and the commitment to excellence shows in every aspect of our organization. We have the best installers in the business, we DO NOT SUB-CONTRACT THE INSTALLATION, all of our installation crews are our employees. The average time of employment within our installation crews is 15 years, some of the children of our employees are still part of the team. We supply and install all floor coverings. 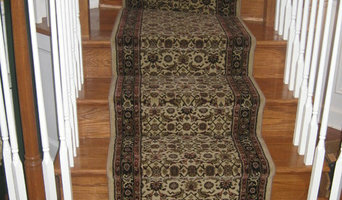 Carpet, hardwood, vinyl, tile, hardwood refinishing, bathroom remodels etc. We have always offered FREE IN HOME ESTIMATES AND DESIGN CONSULTATIONS.Between the 2 locations, our salesmen have a combined 175 years of flooring knowledge and expertise. Call or come by and let us help with your project. Commercial, residential, one room or whole buildings, no job is too small or too large. The community has been walking on our reputation for 43 years. Come check out our large showroom's in Alexandria and Fairfax Virginia. 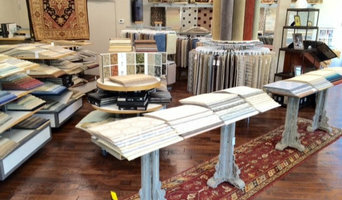 We offer a wide selection of discount flooring, area rugs, solid hardwood, laminate, wall to wall carpet and much more. 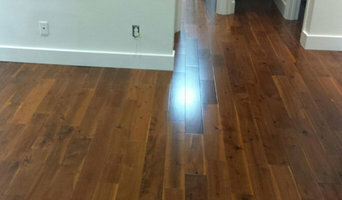 J&M Hardwood Floors LLC is a professional company that installs, repairs and refinishes all types of hardwood floors. We offer personalized, one on one, excellent customer service. We would greatly appreciate the opportunity to work with you.